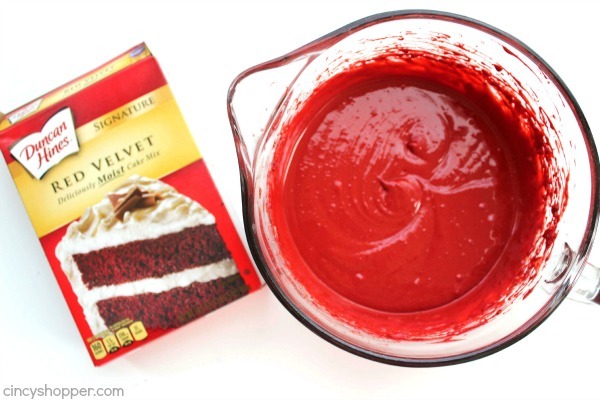 This Red Velvet Poke Cake is super simple and makes for a perfect pot luck dessert. 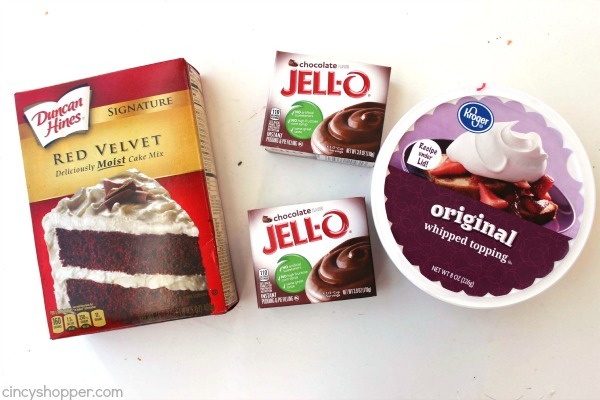 Since we start with a boxed cake mix, store bought pudding, and Cool-Whip, it is very easy to make quite quickly. 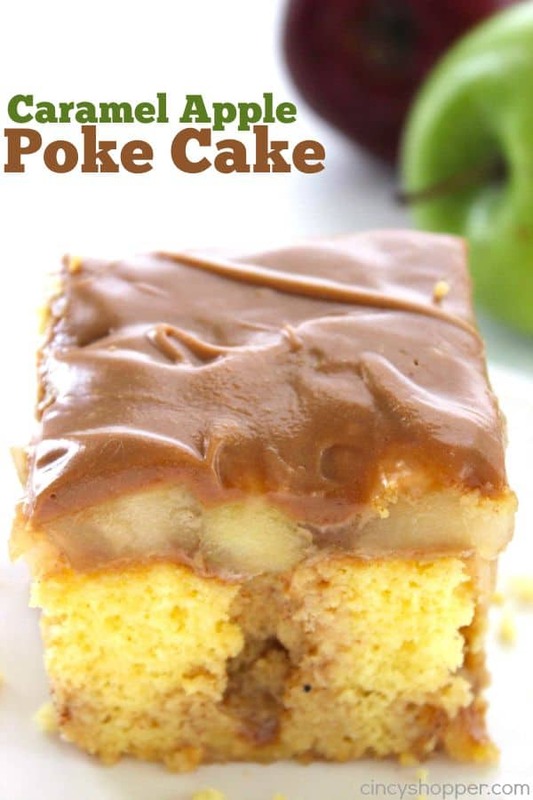 Poke cakes are some of my favorite desserts that I like to make for pot lucks and family gatherings. 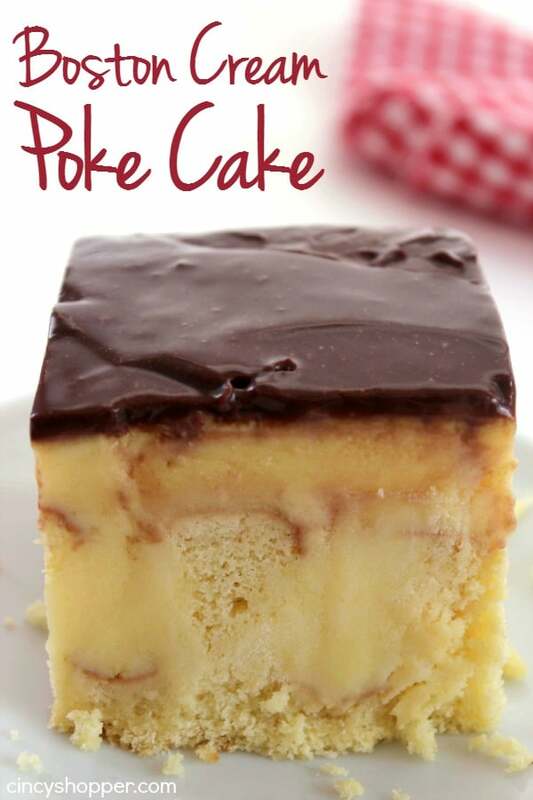 My Boston Cream Poke Cake is one of the most popular recipes I have shared on my blog. 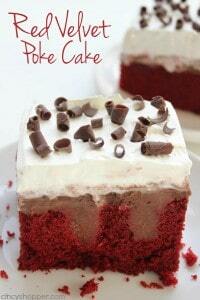 Plus, poke cakes are always a hit with my family and friends. 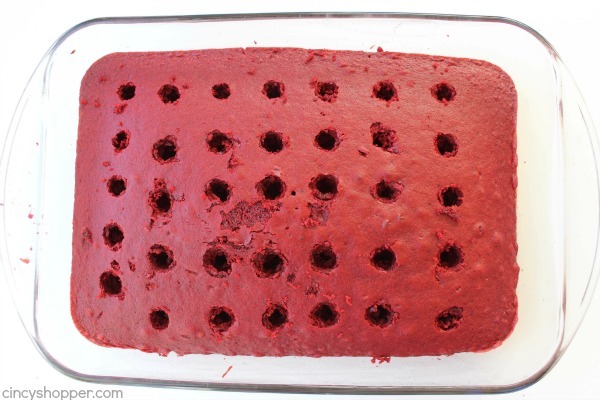 Since Christmas and the holiday season are just around the corner, I was super excited to make this Red Velvet Poke Cake for dessert this past weekend. My hubby and kiddos always enjoy cake for dessert and I like that I can make a poke cake in little to no time, they always turn out great too! 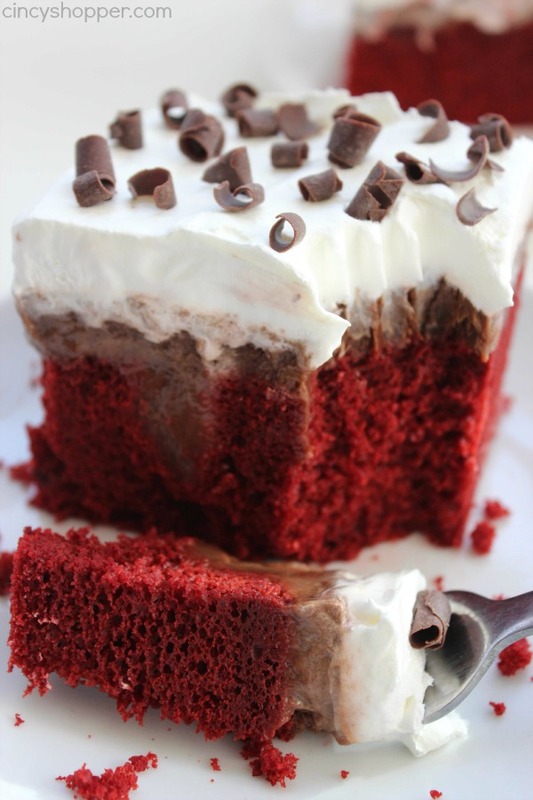 Red Velvet and chocolate pair so well together. 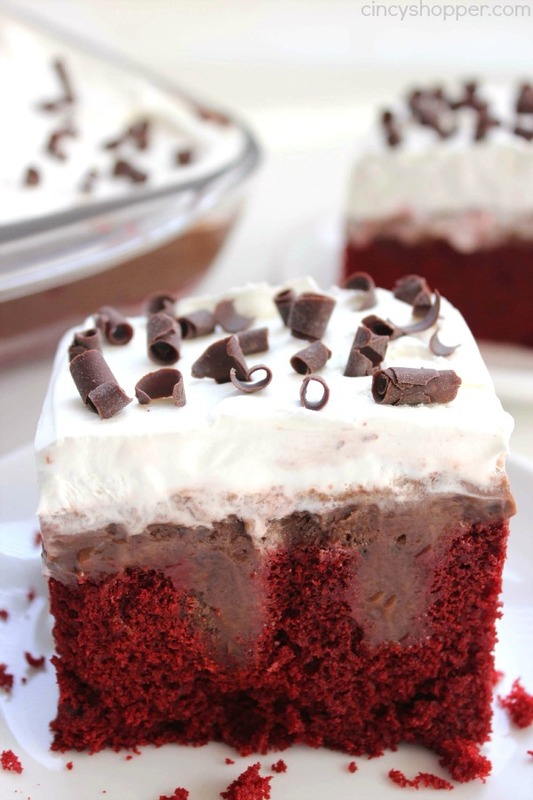 I was sure that the chocolate pudding would make for a great combo with the cake. 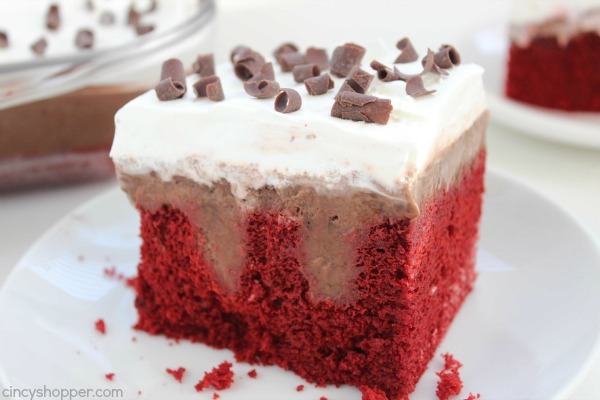 Plus you add on the Cool-Whip and some chocolate sprinkles or chocolate curls and you can really dress up the cake! 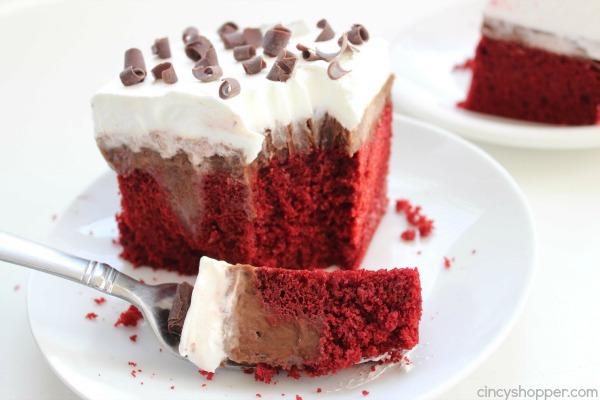 For this Red Velvet Poke Cake, you will need a red velvet cake mix, store bought chocolate pudding or Homemade Chocolate Pudding, Cool-Whip, and your ingredients needed for your box mix. So super simple. 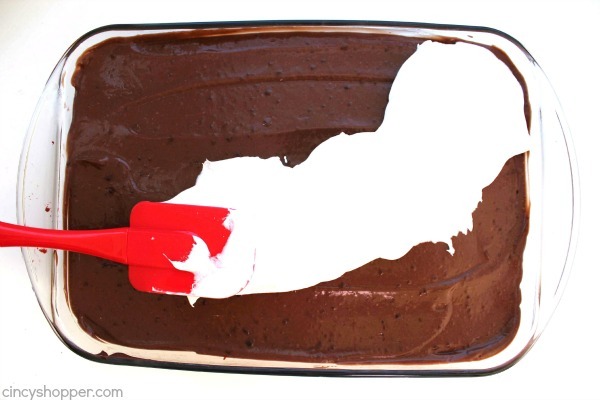 Spread whipped topping over pudding layer and spread with spatula to cover completely. 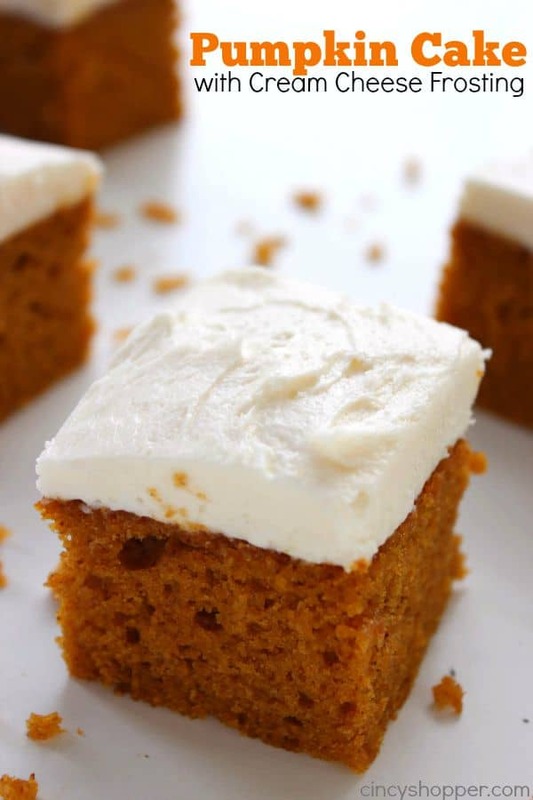 I like to freeze my poke cakes to have them ready for our pot lucks. 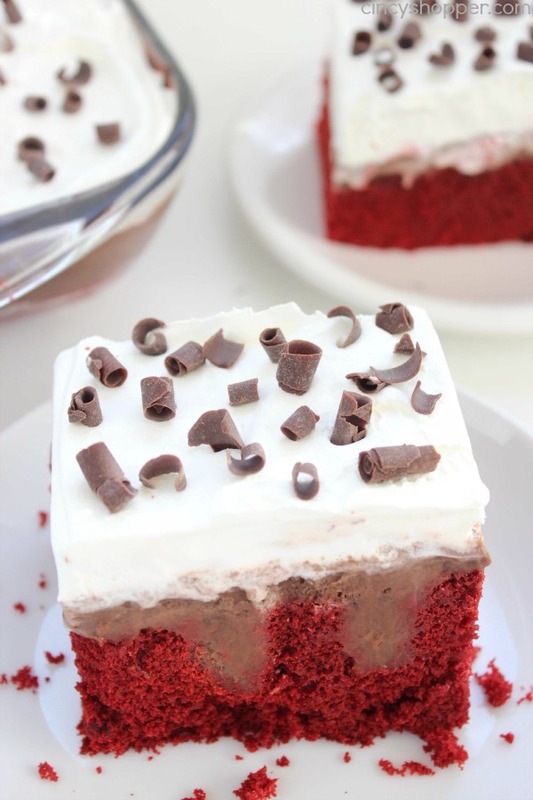 I pull them from the freezer just before we head out. 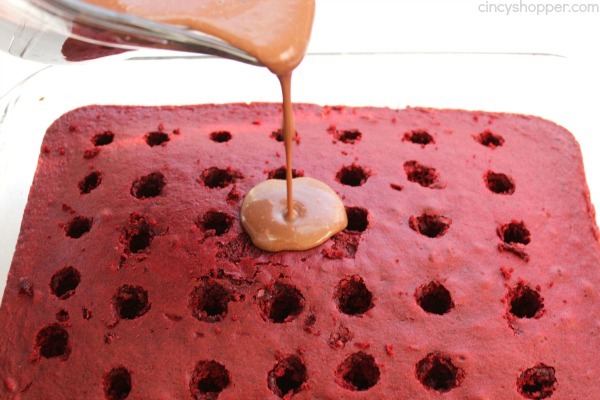 They always thaw quickly so it works great! 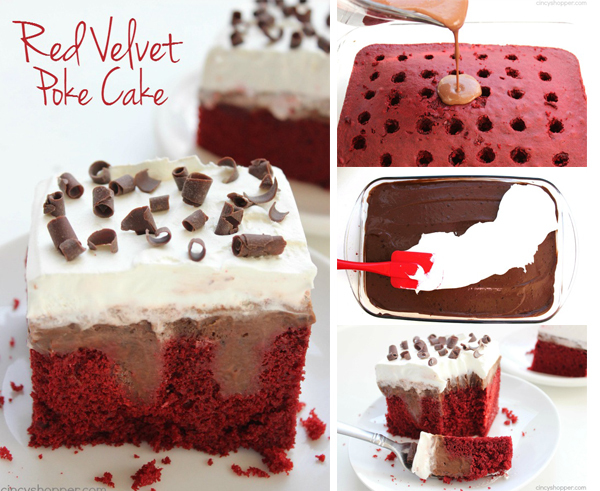 Do you have a favorite cake that you like to make for the holidays? This one will be taken to a couple of our family functions this holiday season. It was super tasty!